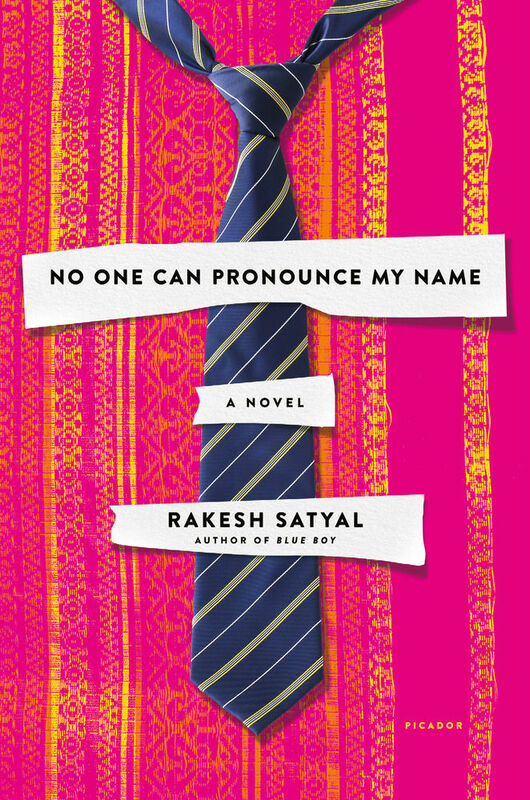 Lambda Literary Award-winner Rakesh Satyal’s second novel, No One Can Pronounce My Name, will probably create a buzz in the national conversation due to the timeliness of a multi-generational tale of Indian immigrants navigating the complexity of family and culture in America. But what shouldn’t be lost amidst all the now-more-than-evers is the timelessness of this well-crafted and heartwarming story chock full of characters you can’t help but root for. The bulk of the story takes place in and around Cleveland, where Harit, an isolated middle-aged man mourns the death of his sister Swati and cares for his mother, who’s gone nearly catatonic in her grief. The closest thing he has to a friend is Teddy, his fabulous-in-his-own-mind coworker at a local department store. That begins to change when he meets Ranjana, an empty-nester who works at a proctologist’s office by day and writes Indian paranormal romance stories in secret at night, all while convinced her husband is having an affair. The parts of the story that take place outside of Ohio follow Prashant, Ranjana’s son, who’s in his first year at Princeton University. He’s quietly struggling with changing his major from chemistry to literature, trying to get girls to notice him, and constantly being embarrassed by his parents. Much of the conflict within the book comes from the various characters’ attempts to either assimilate with or shut out entirely American culture as immigrants or first-generation citizens. Harit, in particular, desperately holds on to the divide between his Indian culture and the society in which he now lives. “The distinction between Harit, the Indian immigrant, and Teddy, the exaggerated American,” Satyal writes early on in the book, “was important to maintain, and to conflate the two images was bizarre.” It’s meeting Ranjana—who herself is still experiencing many American things for the first time but is worlds ahead of Harit in terms of fitting in with the world around her—that begins to blur this line and pull Harit out of his shell. Prashant’s struggles in his own way, as he tries to forge his own identity as an Indian in the Ivy League world. But this is one area in which Satyal excels at making his characters both culturally specific and universally recognizable—Prashant’s tense and moody first visit home during fall break should be familiar to nearly everyone who’s ever left home and then returned again, unsure if he recognizes the parents he left behind only months before. Satyal’s main characters are so beautifully drawn, but he doesn’t neglect the secondary lives that inhabit Ranjana, Harit, and Prashant’s world. These peripheral characters include Ranjana’s coworker Cheryl, Harit’s mother, and Teddy (the latter two are gifted their own achingly humanizing chapters of backstory). Queerness permeates this world as well, particularly in Teddy’s flamboyance and Harit’s discovery of his potential to love—emotionally and physically—another person for the first time. Memorable moments include Ranjana’s first time at a gay bar and a tender scene between Harit and Teddy toward the end of the novel. Sexuality in No One Can Pronounce My Name is one of many swirling and changing identities that the characters must grapple with, which makes for a nuanced and complex examination of what it means to be an outsider in contemporary America. No One Can Pronounce My Name tackles complicated questions of identity and cultural nuance, but in a way that never feels preachy or cerebral. The novel is in fact compulsively readable in a way that imparts doses of wisdom and empathy along with entertainment and real connection (a Wes Anderson-style road trip at the end of the book really embodies this). The experience of finishing Satyal’s sophomore effort is everything you can hope for in a great book—a touch of grief that your time with new friends has come to an end, but an overwhelming sense of joy and gratitude that you’ve been invited along for the ride.